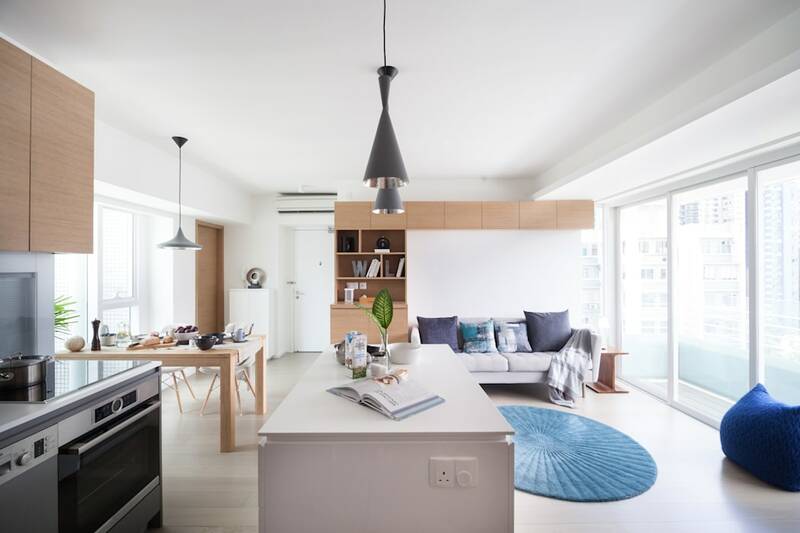 The couple wanted a minimal, clean and timeless look to their apartment, but abundant storage to cater for their growing family. To create a comfortable, dynamic family home, Clifton gutted the apartment, turning part of the room for the open kitchen, along with a kitchen island that sets as the centerpiece of the house. The kitchen island is large enough to accommodate all manner of gadgets and ingredients, and it is also a preparation counter for family cooking. Along the window bench is the wooden dining table from TREE and Eames chairs from Herman Miller.